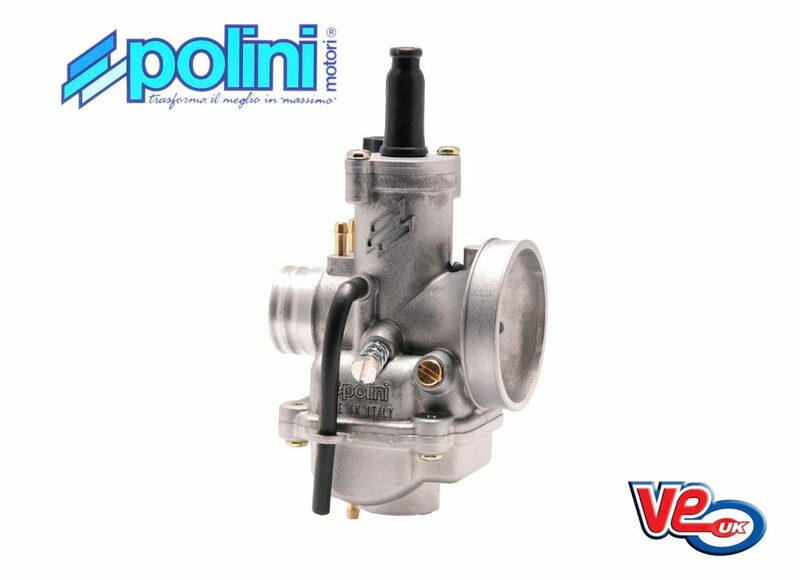 VE (UK), official wholesale importer of Polini performance products, showcase the range of Polini CP race carburettors. The CP carburettors have been designed from the ground up and manufactured entirely from aluminium which results in a unit that is approximately 40% lighter than a traditional item. With a very short inlet featuring a concentric design and geometry that optimises the air flow passage through the carb, the CP carburettors have a simplified setup procedure with the air flow, main and idle jets, to achieve the best possible performance with lower fuel consumption. The Polini CP range of carburettors are available now in 19, 21, and 23mm versions with pull up choke assembly from VE (UK). This entry was posted in Automatic Parts, Universal parts, Vespa parts and tagged carbs, cp, polini, race. Bookmark this page.